Perhaps the #1 reason why guests keep coming back to the Church Hill Inn! 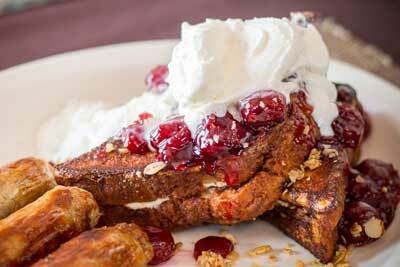 Breakfast is included with each nights stay, and is prepared daily by our Innkeeper, Mike. This full and fabulous breakfast is served buffet style using only the freshest ingredients. You will always find freshly baked muffins, scrambled eggs, our very own Inn made granola, fresh fruit, cereal and coffee, tea and juice, along with one of these tasty hot entrees.